If you have been injured in an accident, your choice of lawyer will make a big difference in how much compensation you receive, if any. An experienced attorney knows how to negotiate with insurance companies, whereas an inexperienced lawyer might leave money on the table. After an accident, you should schedule a consultation with a Monterey personal injury attorney. This consultation is a good time to talk about the accident, your injuries, and your chances of receiving compensation. You also have a chance to ask the attorney anything you want. Here are some questions to ask a personal injury lawyer in a consultation. Personal injury is a broad area of law, encompassing many different types of accidents. You should look to hire a lawyer who has handled cases like yours. For example, if you were bitten by a dog, then find a lawyer who has handled a couple dog bite cases. At the consultation, ask the lawyer whether he or she has worked on a case like yours. If not, you might want to look elsewhere. How Much Can I Receive in Compensation? Some injuries heal within a couple of months, while others might leave you permanently disabled. 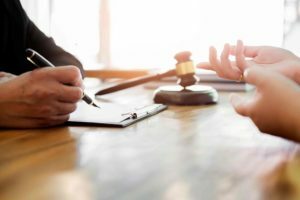 During the consultation, the lawyer will want to know more about your injuries, including your doctor’s diagnosis and the medical treatment you receive. Ask the lawyer how much compensation might be available. Generally, you can receive compensation to cover medical care, lost wages, property damage, and pain and suffering. A lawyer can provide a rough estimate, though that estimate might change as more information comes available. Will My Case Go to a Trial? If you can’t reach a settlement with the defendant, you have no choice but to file a lawsuit and look for compensation that way. Not every lawyer has done trial work. Ask your attorney the chances your case might need to go to trial and check out the lawyer’s experience. Most personal injury lawyers work on “contingency.” Under this arrangement, you are not responsible for any attorneys’ fees at the start of the case. Instead, your attorney will take a percentage of any settlement or jury verdict. Discuss the percentages the lawyer will take, which usually ranges between 33% and 40%. You will receive a written copy of your contingency agreement so there are no surprises. A client is usually responsible for these costs, so request that the attorney estimate them and discuss how they want payment. Sometimes, a lawyer will let you deduct them from your settlement. These are good questions to ask a lawyer; there may be others. What is important is to schedule a meeting with an attorney as soon as possible after an accident. At the Allen Law, we help injured victims like you receive compensation when someone else is to blame for your accident. Reach out to us today by calling 831-901-3901, or send us an online message to schedule a free consultation.